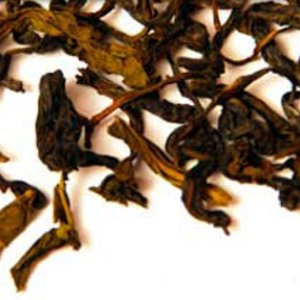 Fresh, fruity flavor and sweet aftertaste, a popular everyday tea. This green tea is from the Five Peaks Mountain in Shandong province, China, famous for its lush green hills and pristine water. 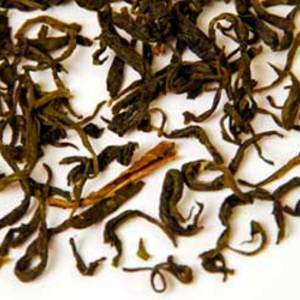 Known for its fresh, fruity flavor and sweet aftertaste, this China Green is a popular everyday tea. Green teas can be steeped several times with increasingly warmer water. I would love to go see this “Five Peaks Mountain” some day…but for now I will have to live life vicariously thru this tea. And what a good green tea it is! The first time I had this it smelled and tasted like broccoli…but the aftertaste is wonderfully sweet and semi fruity as the description states. The very first time I tried this I determined that this was a pretty good tea! I under infused it a little and thought it was even more lovely! It was vegetal but more sweet than vegetal. It was slightly fruity on to the aftertaste which I thought was a nice touch! It’s always nice to be 2 for 2 on a tea…this one didn’t disappoint! 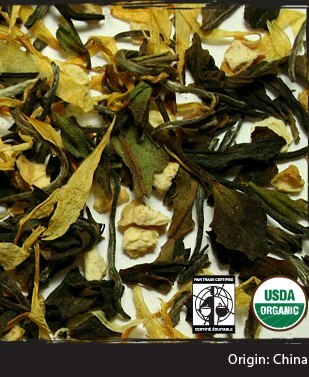 This tea combines the soft flavour of white tea with a hint of strawberry. 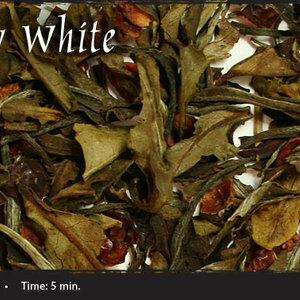 White tea is loaded with antioxidants and is also said to strengthen the circulatory and immune systems. A treat for nose and palette. Strawberries have grown wild for millennia in temperature regions throughout the world. They were highly prized by many ancient Romans. In the Middle Ages, they were prized again, more so for their medicinal qualities than delicious flavour. Today, the strawberry is the most popular type of berry fruit in the world. While there are more than 600 varieties of strawberries that differ in flavor, size and texture. 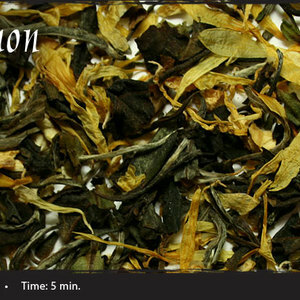 I tend to add more loose leaf than suggested because I usually like a strong flavor with most or all of my teas. The first time I tried this one I used what I would call my normal amount of loose leaf. I was completely shocked at the flavor it was almost too much of the sour and puckery taste to handle. I promised myself I would then try the suggested amount…and that’s exactly what I did! It was MUCH better! A little goes a long way here, folks! This flavored white is packed with flavor and personality! At first I thought this had hibiscus in it but I cannot tell – for sure – based on the description – I guess it could just be the strawberries in the dry mix. It’s a tarty/puckery type strawberry. In this case, I personally, prefer less as well. I am not really into tarty teas – so less is more with me! This one worked out really well when I did what they suggested with the loose leaf amount. The Strawberry flavor was amazing! 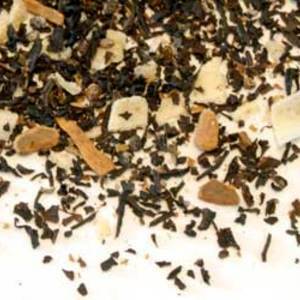 I also LOVE that Shanti Teas did a Strawberry WHITE tea! Another thing I would like to mention in this review is the aroma! I will say I LOVE the way this one smells and it reminds me of a strawberry chapstick I used to LOVE as a kid…the 80s RULE…I miss them when it comes to certain stuff like strawberry chapstick! I know there are other strawberry chapsticks out there but not like the one I specifically remember the aroma to from the 80s! I just LOVE creative flavored teas and lately flavored WHITES is something I have been extremely interested in. This is one of Shanti’s newer offerings and I think it’s a treat!